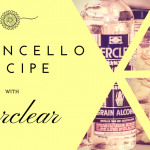 Limoncello Recipe with Everclear is another way of creating our beloved recipe. Grappa or Vodka is usually the ingredient added to create the liqueur. Now, we will be using Everclear which is also known as grain alcohol. Everclear is a pure grain alcohol and intense neutral spirit. It is a full-bodied ethanol and repeatedly distilled to purify which intensifies its potency. Everclear is a whopping 285 calories on its own. Furthermore, because it is clear, odorless and tasteless, it is possible to consume a high level of Everclear when blended with other mixers. Preserving fruit in alcohol keeps the fruit’s flavor and essence. As a matter of fact, soaking fresh fruits in alcohol for several weeks produces a flavorful drink. This drink can be used to make cocktails or consume on its own. With this in mind, fresh fruits always are always perfect, but frozen and unsweetened fruit also work as well. Vodka allows the flavors and color of the fruits to sparkle. For the best flavor, avoid the cheapest brand of alcohol. It doesn’t mean you have to use the most expensive brand of alcohol, however, the flavor will depend on the ingredients you use. Grain alcohol can be used likewise. Drinks made with Everclear definitely tastes wonderful. Just remember how to incorporate the ingredients with their proper proportions. Limoncello is a classic liqueur from Southern Italy. This drink is typically served after a meal or as a drink to welcome guests. This summertime drink is sweet and refreshing. In fact, it is also very simple to make. Additionally, beginners who are just starting to learn the art of home infusion can easily create this recipe. 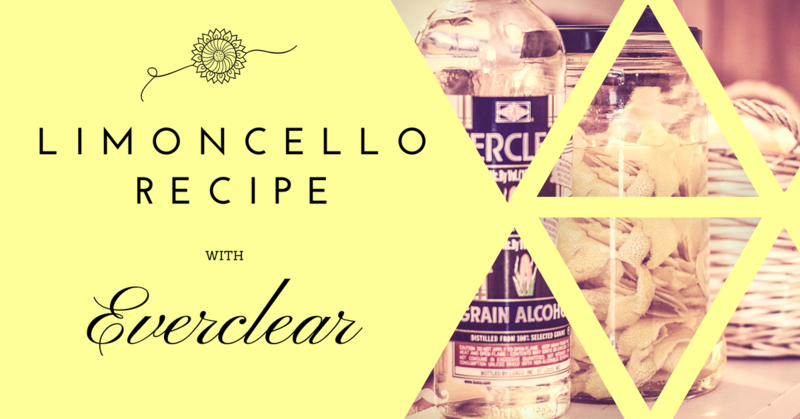 Creating the Limoncello Recipe with Everclear only needs four ingredients coupled with a ton of patience. It is certainly a slow process but is definitely worth the wait. Limoncello is from lemons of Sorrento. First things first, the lemon peels without the pith and lemon zest being are soaked in grain alcohol. By the time the oil is released, the alcohol is eventually instilled with the lemon essence. This will consequently result in a fragrant yellow spirit. Then, the instilled alcohol is mixed with simple syrup and sugar. However, the sugar and water ratio consequently affect the clarity, alcohol content, viscosity, and flavor of the infusion. The excellent alcohol content for Limoncello is 28-32%. Everclear is a good choice because when mixed with simple sugar, it dilutes to the correct alcohol ratio of 28-32%. Vodka is a bad choice because it will lower the alcohol ratio to about 14-18% which is thin from the traditional Limoncello. Fresh and sweet, easy to do summertime cocktail. Wash the lemons thoroughly to remove dirt. You can use a brush if necessary. Peel lemons and remove the pith. In a large, sealable container, place the zest and pour Everclear. Let the lemons steep in Everclear for 4 weeks. After 4 weeks, prepare sugar and water and cook in a medium saucepan. Bring to a boil by stirring it regularly. Cook for 5 to 10 minutes. Let syrup cool. Strain the jar to remove the lemon zest. Add the syrup. Transfer in bottles and chill in freezer. Serve in a chilled glass. Enjoy. Here is the process of creating a lemon home infusion- Limoncello with Everclear. The process starts with first, peeling the zest into long strips from 10 lemons. It is important to use organic lemons because it does not give off a waxy residue. Next, remove the pith so that the final product will not become bitter. To do this, lay the zest pith-side up, then carefully scrape away the pith with a sharp knife. Next, place the lemon zest in a jar and pour 750 ml of Everclear. 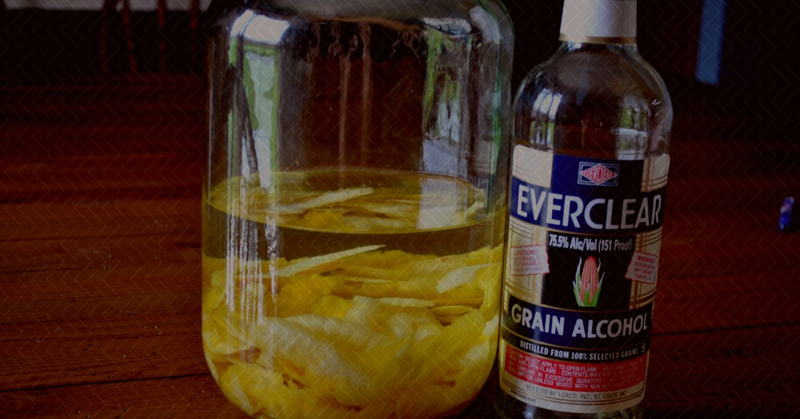 The alcohol content of Everclear has the greatest extraction capability compared with other liquors. Leave the zest to soak in alcohol for 4 to 6 weeks. It must be remembered that the jar is kept in a cool, dry and dark place. Another key point is to not refrigerate the mixture. Additionally, do not forget to shake the jar occasionally to let the ingredients incorporate. As a matter of fact, the longer the zest is soaked, the better Everclear absorbs the flavor. After 6 weeks, the zest is strained from the spirit. Set aside the mixture. Next, make a simple syrup by combining 3 1/2 cups of water and 2 1/2 cups of sugar in a pot. Then bring the mixture to a boil, stirring frequently for about 10 minutes until sugar is dissolved. After it has boiled, remove the pot from heat and allow to cool. The syrup should be at room temperature. Lastly, pour the simple sugar to the mixture and stir. It is important to note that when the spirit is mixed with simple syrup, the mixture becomes cloudy. The final step is to put limoncello in bottles. This process should have been done beforehand. Prepare 750ml bottles, thoroughly washed, sanitized. By the time the limoncello is ready, the bottles should be already dry before filling. Now, fill each bottle until 1 or 2 inches from the top. Use a funnel and a ladle to make sure that it will be mess free. Lastly, if there’s any mixture remaining, you can enjoy it for yourself. Pour it over ice and wait for it to mellow. You will notice that the drink is definitely smoother when it has mellowed. Limoncello is always best when served chilled so it is important to store your limoncello in the freezer. The high alcohol content in the limoncello will not cause it to freeze. You can always enjoy a chilled bottle of Limoncello Recipe with Everclear after a meal or just having a good time with your special friends. Remember to chill the glass too, before serving limoncello, for an ultimately authentic experience. Thanks for posting this recipe ! I’m actually trying this with citron fruit instead of lemons and I’ve used local 96% grain alcohol. I’ve only used half the sugar and water though, do you think it will be too much alcohol content ?